This story takes place far inside the Arctic Circle but, no, it’s not about Santa Claus. What it is about is truly embracing the Christmas spirit—the part where you give of yourself. Finland celebrates its centennial on December 6, 2017. 100 years! Such a milestone! How do you possibly commemorate such an event? To properly celebrate their century-old neighbor, a group of Norwegians want to give Finland a gift that “no one can match,” according to a Facebook campaign that launched last week. 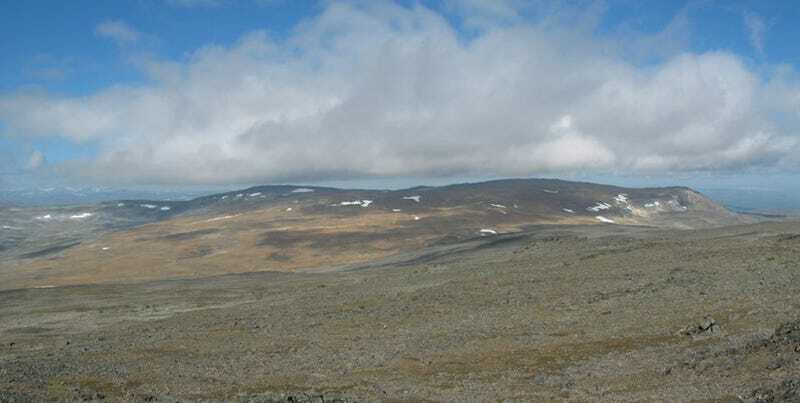 Norway wants to give Finland a mountain. The idea comes from Norwegian Bjørn Geirr Harsson, a geodesist and engineer for the country’s mapping authority. He had the idea over 40 years ago, when he was doing surveys by plane in the area. After the plan was posted to social media, Norwegians have been overwhelmingly supportive. Why so generous? Well Norway’s got mountains to spare: There are at least 200 Norwegian peaks taller than this one. What’s one hill? Finland’s ambassador posted a link on Twitter acknowledging that they saw the plan, and someone from the Norwegian mapping authority said it was a good idea, so international relations are at least somewhat underway, at least from a social media perspective. It’s not just a thoughtful gift from a geological perspective, it might also help to ease some of the pain Finland encountered by losing a region named Karelia, which was stolen by the USSR in 1939. At a time when certain countries who shall not be named are busy bickering over which parts of their land—artificial or natural—belong to whom, it’s nice to hear a heartwarming tale of geopolitical relations where one country actually wants to gift a little piece of itself. Now if that doesn’t make you want to buy something a little more thoughtful for your White Elephant exchange, I don’t know what will.